All individuals are unique and I try to create an environment of trust and safety so that you can feel heard, supported, and understood. In this accepting environment, we can explore your inner thoughts, feelings, and beliefs. Together we will uncover the obstacles that are getting in the way of you experiencing more satisfying relationships with yourself and others. We can tackle the difficulties that are making you feel sad, angry, hurt, lost, and anxious. I will work with you to process challenges with relationships and work through fear, uncertainty, depression, anxiety, and loneliness. Together, you and I can address questions of “who am I, who do I want to be, what kind of work do I want to do, what kind of person do I want to partner with, and why do the same things keep happening to me?” I can help you better navigate life’s pressures, enhance your own inner resources, and gain new coping skills. Through this exploration process, you will increase your self-awareness, develop a stronger sense of self, and discover new ways to relate to others. By deepening your self-awareness you will gain greater insight and understanding, thus allowing you to make choices that better serve your needs and hopes. Young adulthood can be a time of significant changes and transitions that can often create a lot of stress. It is a time of self-discovery and exploration as you are learning to define yourself. It can be a period of confusion, frustration, self-doubt, and insecurity. 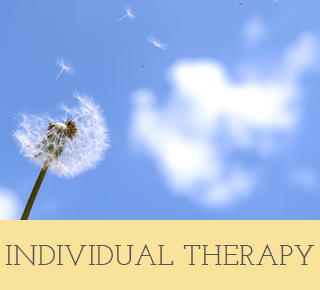 Therapy will provide an environment where you can develop a deeper understanding of yourself, learn effective ways of communicating, develop problem-solving skills and be able to have more fulfilling relationships.